David Mercer "Drupal 6. Creation of reliable and full-function websites"
Lisa Lopak "Web design for teapots"
Volkova T. "101 special effects in Photoshop CS3"
M.'s smiths "PHP5. Practice of creation of the web sites"
Speka M. V. "Creation of the Web sites. 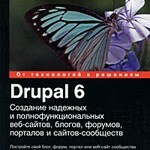 Self-instruction manual"
Romashov Victor, Rysevets Maxim "CMS Drupal: control system of site contents"
The present book is devoted to bases of use of the new version of popular Drupal 6 system with an open source code. The book is intended for the beginning Web designers who want to learn quickly and qualitatively to create the modern sites. 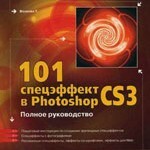 This book represents the magnificent guide to creation of various special effects in Photoshop CS3. Creation of each of them is followed by the detailed step-by-step description and detailed illustrations. 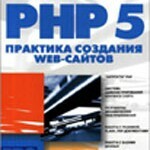 Subject of the book is training of PHP - programmers and Web - the designers familiar with Web bases - programming, methodology of creation of modern highly effective Web applications. This book - a grant for beginners which on simple and bright examples will teach the reader to create interesting and original Web projects. Here questions of advertizing of the site and involvement of visitors on its pages are taken also up. 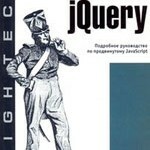 The edition represents introduction and a reference guide on jQuery – a powerful platform for development of web applications. Bardiyan Dmitry "We swing from the Internet free of charge!" The book tells, where, and, above all — how to download information (books, music, movies, programs, games) from the Internet. All ways, the most popular are in detail considered today. Vatamanyuk Alexander "Installation, control and restoration of Windows 7. Began!" On pages of this book you will find answers to all questions connected with procedure of installation and control of a new operating system of Microsoft — Windows 7. Pasternak Evgenia "The laptop for women"
The new self-instruction manual from the author of the best-seller "The Computer for Women" — this time about work on the laptop. This book is also created especially for women.